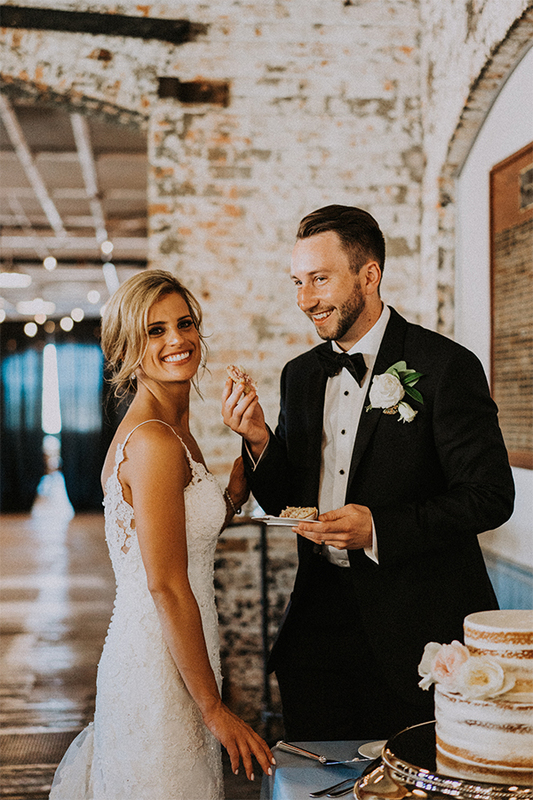 Local 4 News traffic reporter Kim DeGiulio and Kevin Yarows share how they weaved local brands and places into their Motor City wedding. While Kim DeGiulio, 28, and Kevin Yarows, 26, both grew up attending Camp Michigania, a University of Michigan alumni camp in Northern Michigan, they never went at the same time of the summer. It wasn’t until they both returned as counselors in 2010 that they finally met and bonded over their mutual obsession with maize and blue. Two years later, the Detroit residents took their friendship to the next level and started dating. 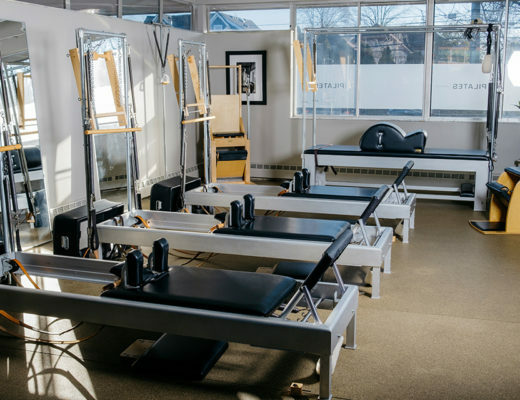 On a Friday evening in December 2017, DeGiulio thought they were just going for happy hour at Townhouse in Detroit. 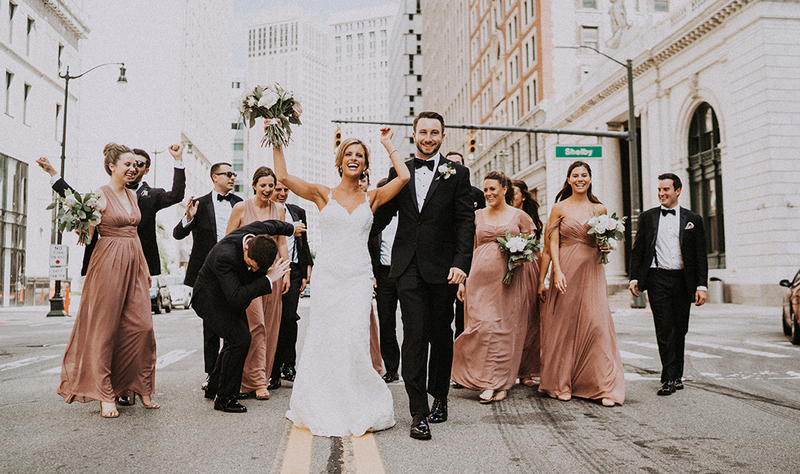 As the couple walked to the restaurant, however, Yarows slowed down in front of the Spirit of Detroit, expressed his love for DeGiulio and got down on one knee. 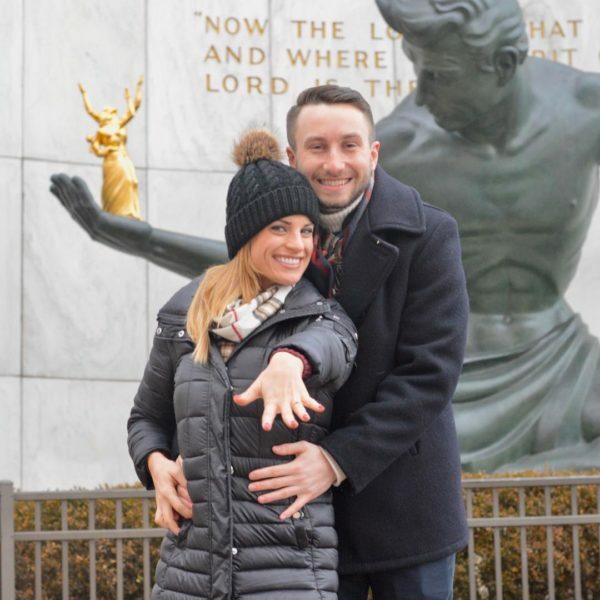 DeGiulio, in complete shock, said “yes.” The pair then enjoyed drinks at the Detroit Athletic Club, followed by dinner with their families at Townhouse. Within the first year of the couple’s relationship, Yarows remembers looking on DeGiulio’s Pinterest page for gift ideas. To his surprise, he found photos of diamond rings. 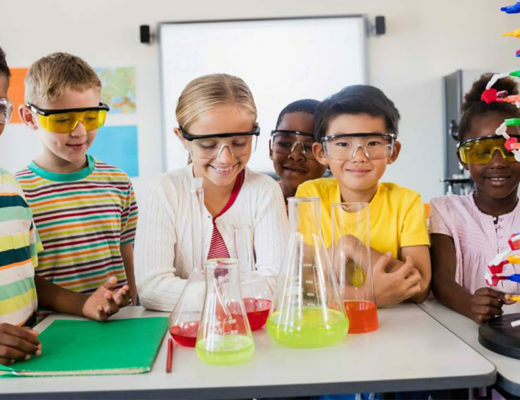 “I was caught off guard,” Yarows laughs, adding, “I was like 20 years old.” Luckily, Yarows wasn’t scared off, and that Pinterest page came in handy a few years later. Yarows picked out a 1.7-carat round solitaire diamond from a family jeweler, which he paired with a diamond-encrusted gold band from Lewis Jewelers in Ann Arbor, a partner of University of Michigan Athletics. 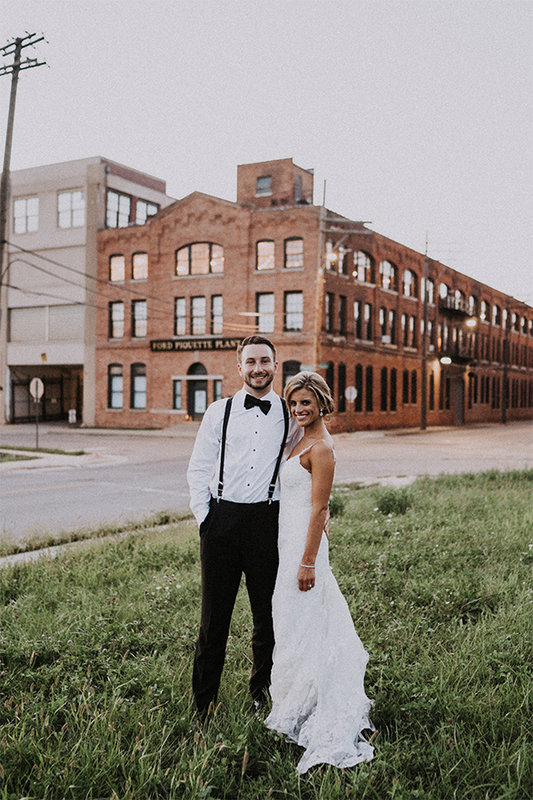 The couple chose St. John’s Episcopal Church for the ceremony and the Ford Piquette Avenue Plant for the reception — two symbols of Detroit history. Most guests arrived for the Labor Day weekend wedding on Saturday and checked into the Greektown Casino Hotel. 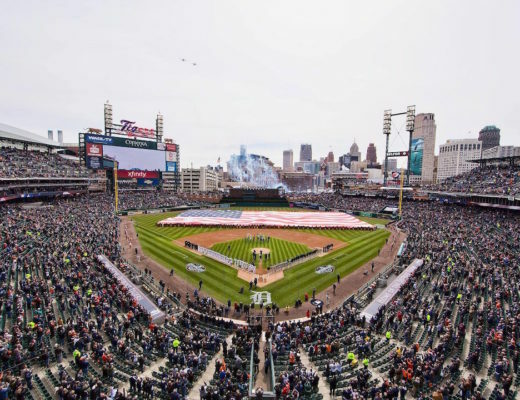 “My goal for the wedding weekend with having so many people from out of town … was for them to see how awesome Detroit is and get a good feel for this renaissance that’s going on,” DeGiulio says. Each hotel guest received a Detroit-themed bag, complete with Vernors, Faygo, Better Made chips and Sanders chocolate to kick off the weekend. Festivities began with the rehearsal dinner on the second floor of Firebird Tavern in Greektown. Following dinner, the couple invited their family and friends to join them at Buffalo Wild Wings in Greektown to watch the Michigan vs. Notre Dame football game. Of course, they couldn’t miss the season opener. After spending the night apart, DeGiulio and Yarows woke up on their wedding day, ready to celebrate their Michigan-made love. DeGiulio’s day with her bridesmaids, who wore dusty rose dresses, began early with hair and makeup. DeGiulio put on her Kenneth Winston lace gown, which she purchased at Gina’s Bridal Boutique in Milford. Yarows and his groomsmen wore classic black tuxes. DeGiulio and Yarows did a first look on the steps of the Detroit Institute of Arts. 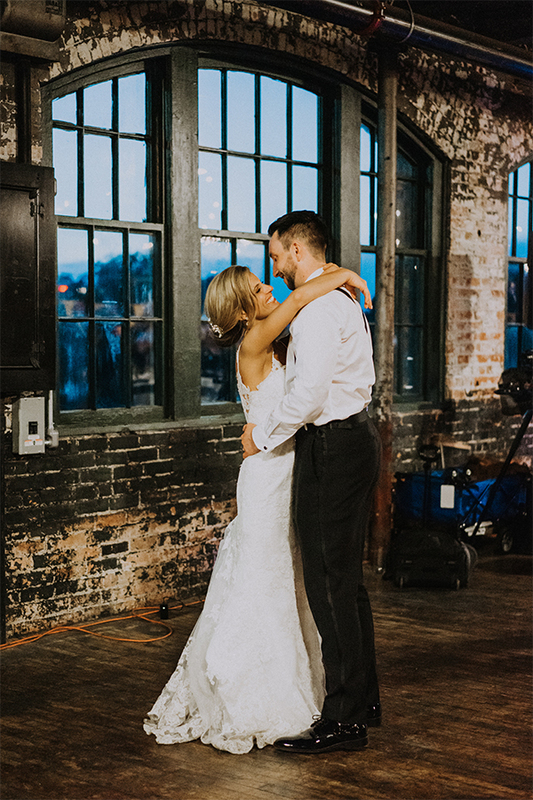 While some couples wait to see each other at the ceremony, DeGiulio couldn’t wait to see her groom. 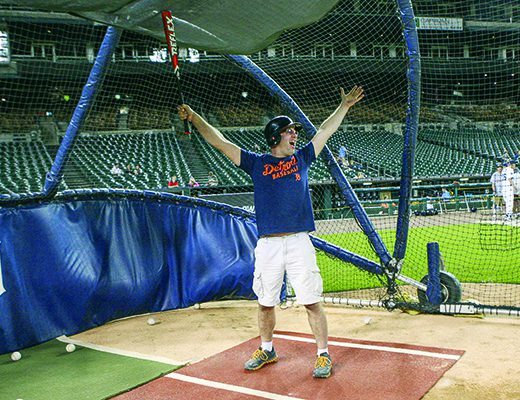 “I just wanted to spend the most time possible of our wedding day with Kevin,” she says. Yarows admits he was nervous on the wedding day until he finally laid eyes on his bride. 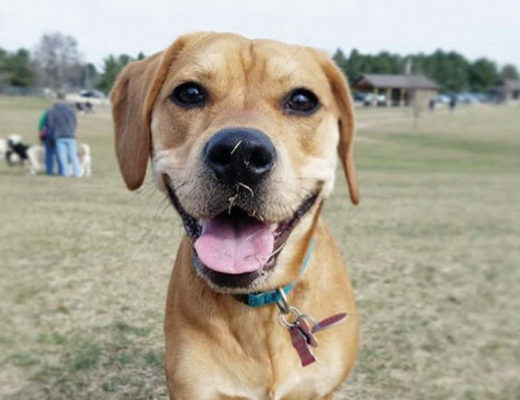 “When I actually saw her, I was able to relax and go through and enjoy the day,” he says. 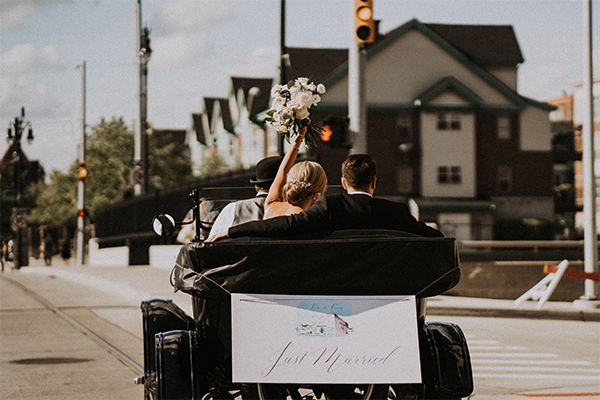 Following the ceremony, the newlyweds went for a spin down Woodward Avenue in a Ford Model T. The old-fashioned car dropped them off at the Ford Piquette Avenue Plant, where the car was originally built. At the rustic venue filled with white and dusty rose flowers and greenery, guests enjoyed a string quartet and cocktail hour before gathering in the main area for the reception. 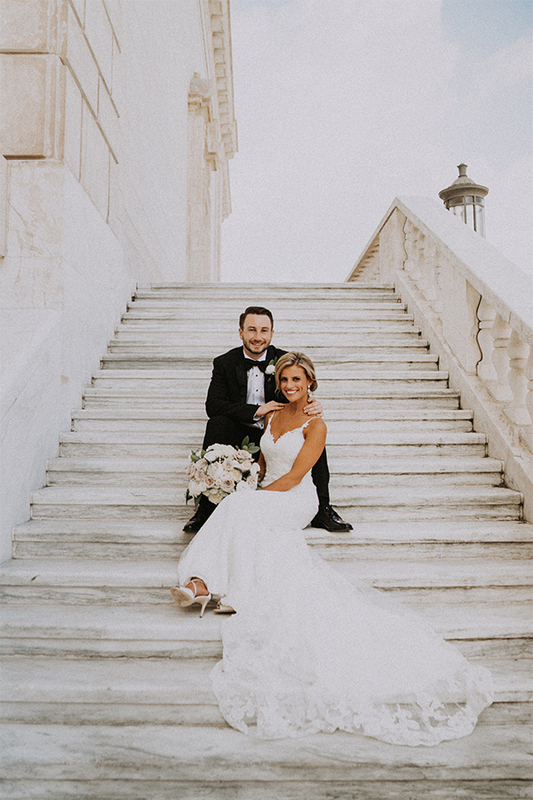 Instead of having their guests clink glasses for them to kiss, a typical wedding tradition, DeGiulio and Yarows asked their family and friends to sing songs about love. DeGiulio’s colleagues from Channel 4 stole the show and sang “Freeway of Love” by Aretha Franklin, setting a laid-back, fun tone for the night. Guests also enjoyed dinner from Andiamo, a local restaurant and caterer. The couple did their first dance to “May I Have This Dance?” by Francis and the Lights featuring Chance the Rapper. Everyone joined them for the Hora, a traditional Jewish dance, and stayed on the dance floor for the rest of the night jamming to Motown music. DeGiulio and Yarows rounded out the Detroit theme with Jet’s Pizza and Gus’s Fried Chicken as a late-night snack. “After a couple of cocktails, people were loving on that,” DeGiulio jokes. The pair enjoyed every minute of the whirlwind weekend, and they now look forward to embracing their new adventure in the Motor City. “It’s exciting to figure out what we want to do for the rest of our lives,” Yarows says.